Zara should make traditional retailers shake in their boots. Year after year, the Spanish fast fashion company reports strong earnings. 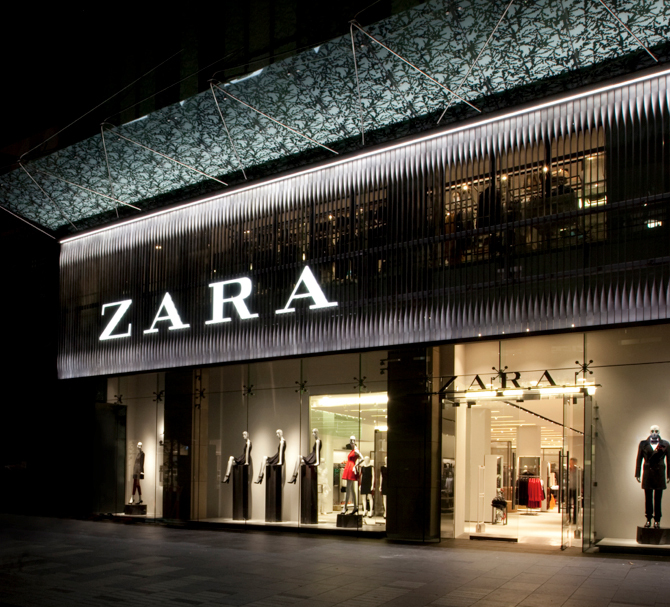 And in the nine months ending in October, Zara’s parent company Inditex’s net profits increased by 20%, Reuters reported. “We believe that Inditex has the best business model in apparel and expect Inditex to deliver double-digit earnings growth per year over the next five years,” Bernstein analysts wrote, according to The Wall Street Journal. But what is it about Zara that sets it apart from other fast fashion companies, like H&M, Forever 21, Topshop, and the jawdroppingly cheap Primark? And more so, what has made it thrive in time when many traditional retailers are failing? However, Zara’s business model has positioned the retailer to avoid such a fate. Saunders’ comment regarding the weather rings particularly true; on a recent conference call with analysts, Gap Inc. CEO addressed that one of the problems plaguing Banana Republic was an unseasonably warm fall. And Zara’s business model — arguably — is one that could potentially withstand warm falls.